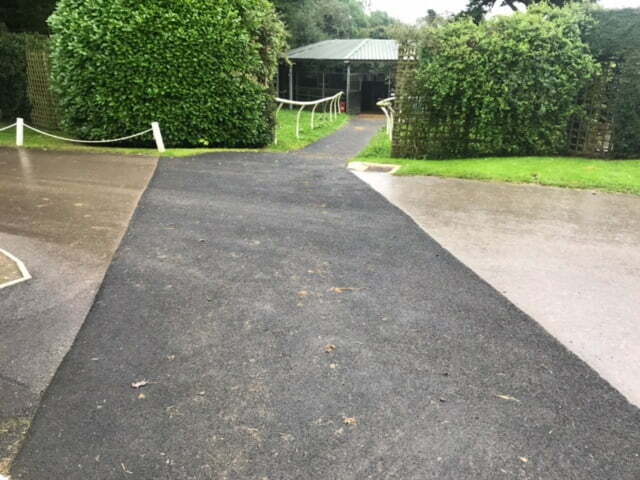 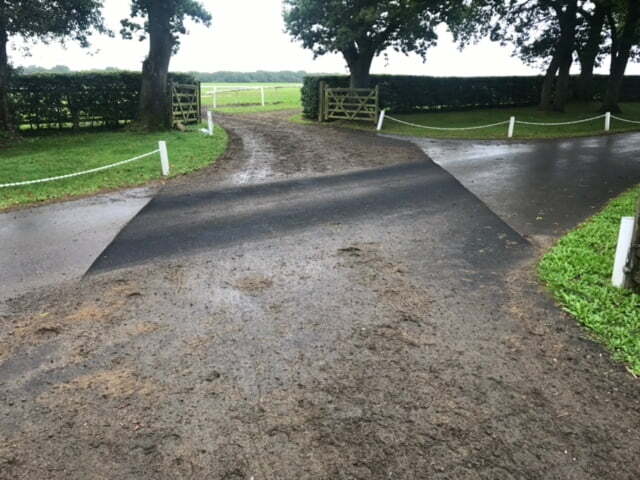 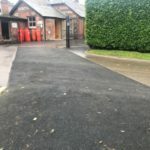 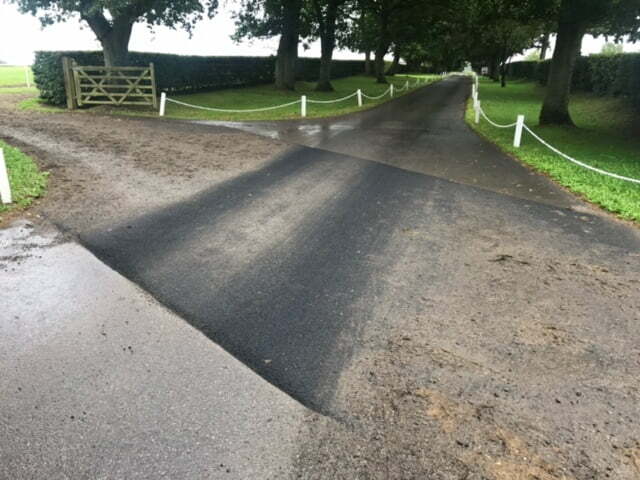 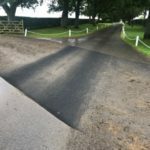 Richard Hannon Racing in Wiltshire were looking for a rubber surface to allow their horses to cross a tarmac road to the Gallops and a Horsewalker. 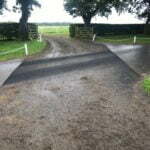 This road is used regularly by Cars, Horseboxes & Lorries from the nearby timber works. 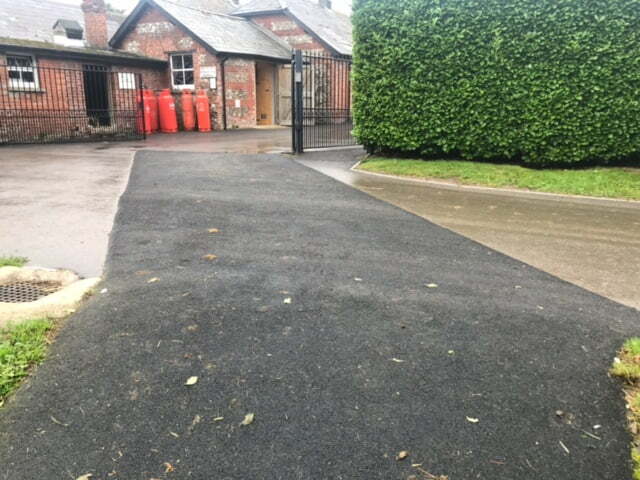 As the existing tarmac was not to be disturbed our Flexscreed HD was recommended. 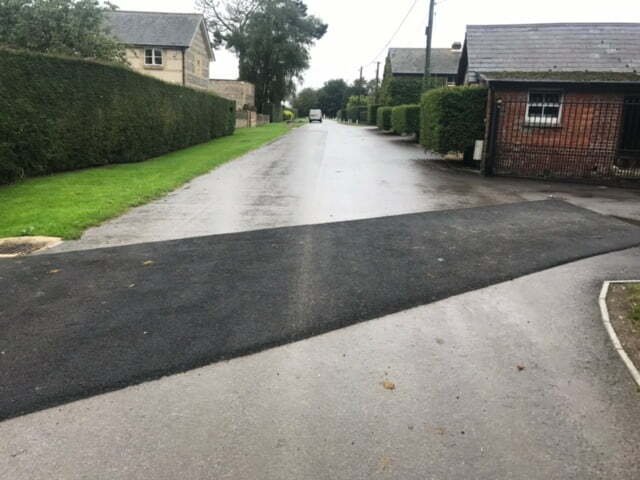 The Flexscreed HD was then applied directly on to the two road crossings. 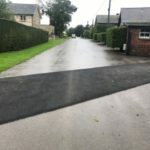 The Flexscreed HD has now been in place nearly three years with no repairs required and showing little sign of wear and tear. 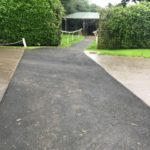 The Flexscreed HD can also be supplied and applied in a range of colours.